There are numerous types of marquee flooring available for your events. One option is a hard-wearing carpet that’s made from natural materials. This can be made to measure for your event space and is a cost-effective way of covering the floor. However, a carpet doesn’t exactly scream dance floor. Some people use laminate flooring or hard boards to create their dancing zone. These can work well and are another affordable option. However, without doubt the best material to use is wood. Wood just works in a marquee. It’s a natural material that is flexible, hard-wearing and perfect for large numbers of people. Here at Weatherill Brothers, we’ve been making and hiring marquees for decades and we think wood is always a great flooring option. We’ll sit down with you and discuss your flooring needs, making sure that you get a wood that works with your design scheme and overall plan for your big day. Marquee wooden flooring gives your marquee interior a lift, but that’s not all we offer. 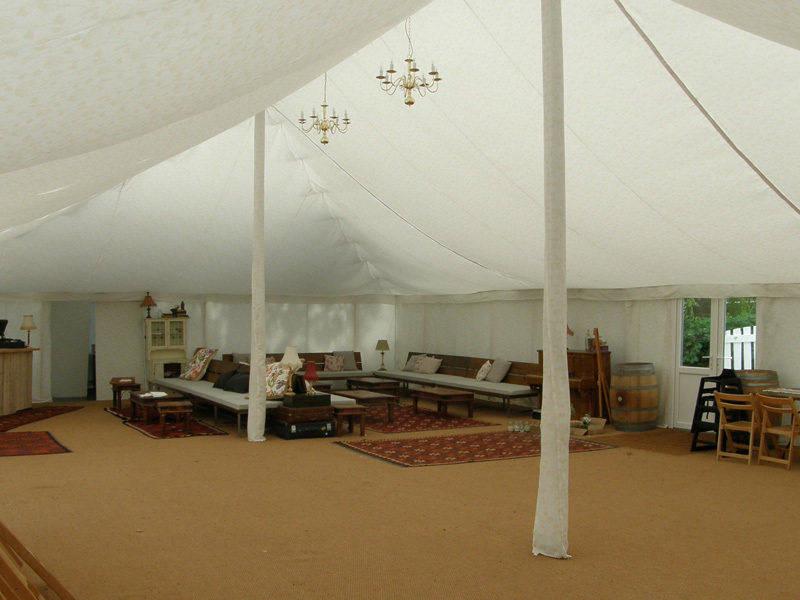 We can also provide marquee linings, lighting schemes, as well as more serious structures like the bar or toilets. Get in touch to find out more about what we can do for you.